1. 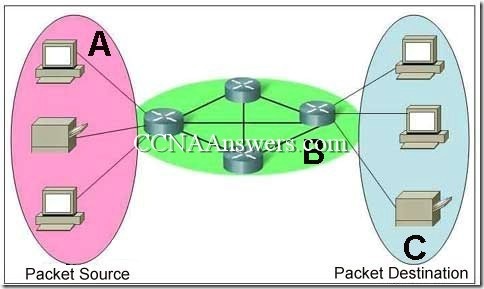 Which functions are provided by LCP and NCP as part of the PPP layered architecture? LCP sets up the PPP connection and its parameters. NCP terminates the PPP connection. LCP sets up the PPP connection and its parameters. NCP handles higher layer protocol configurations. LCP includes the link-establishment phase. NCP includes link-maintenance and link-termination phases. LCP negotiates options for multiple network layer protocols. NCP agrees automatically on encapsulation formats. Refer to the exhibit. EIGRP has been configured on routers R1 and R2. 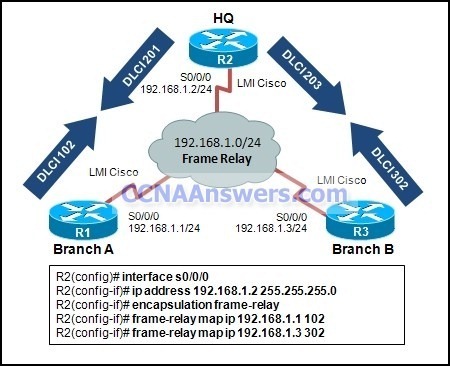 Connectivity across the Frame Relay switch between routers R1 and R2 is successfully verified using the ping command. 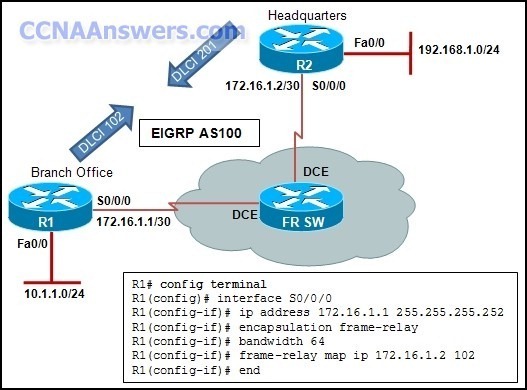 However, no EIGRP routes are appearing in the routing table. What could be a cause for this failure? The Frame Relay switch has failed. The frame-relay map statement is incorrect. The S0/0/0 interface of router R1 is administratively down. The S0/0/0 interface of router R2 has an incorrect IP address. 1. Which Frame Relay flow control mechanism is used to signal routers that they should reduce the flow rate of frames? 2. 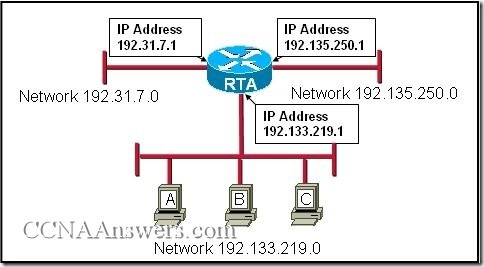 An administrator is configuring a dual stack router with IPv6 and IPv4 using RIPng. The administrator receives an error message when trying to enter the IPv4 routes into RIPng. What is the cause of the problem? When IPv4 and IPv6 are configured on the same interface, all IPv4 addresses are over-written in favor of the newer technology. 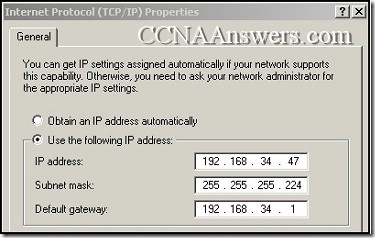 Incorrect IPv4 addresses are entered on the router interfaces. RIPng is incompatible with dual-stack technology. IPv4 is incompatible with RIPng.